A tranquil retreat that will rejuvenate your spirit and relax your body, the Strawberry Creek Inn Bed & Breakfast offers peaceful luxuries and simple pleasures. 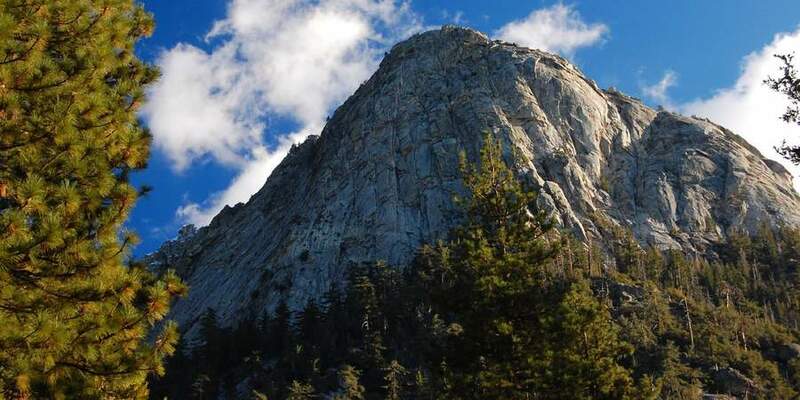 Just about two hours from the hustle and bustle of Los Angeles and San Diego, the San Jacinto Mountains will envelope you in the rustic beauty of Idyllwild, California. 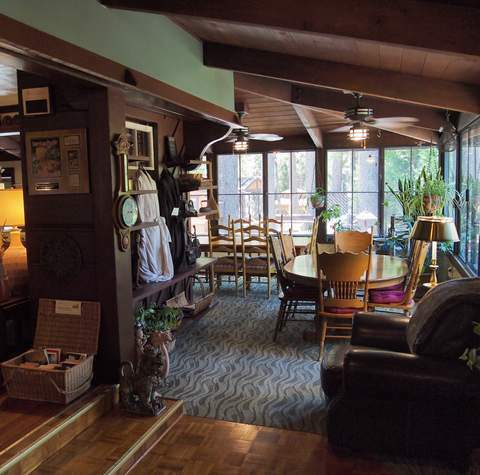 So close, yet a world away is Strawberry Creek Inn, a mountain getaway available year-round. Country elegence comes in few flavours: with four unique and charming types of accommodations, including fireplace suites, themed courtyard suites and a secluded free-standing cottage overlooking the creek, we're sure you'll find one that's perfect for your needs. 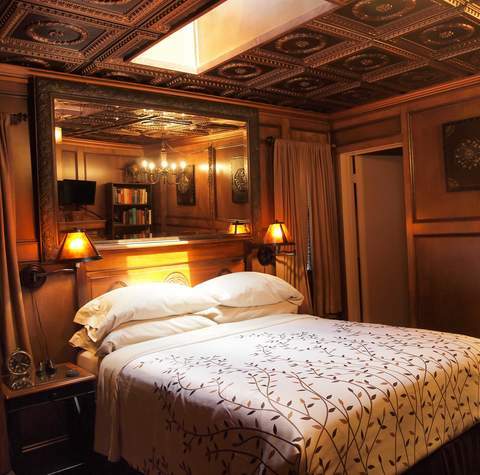 A room, a bed, and yet so much more included! We provide a variety of amenities so you can enjoy your stay with all the comfort and joys of our quietness. 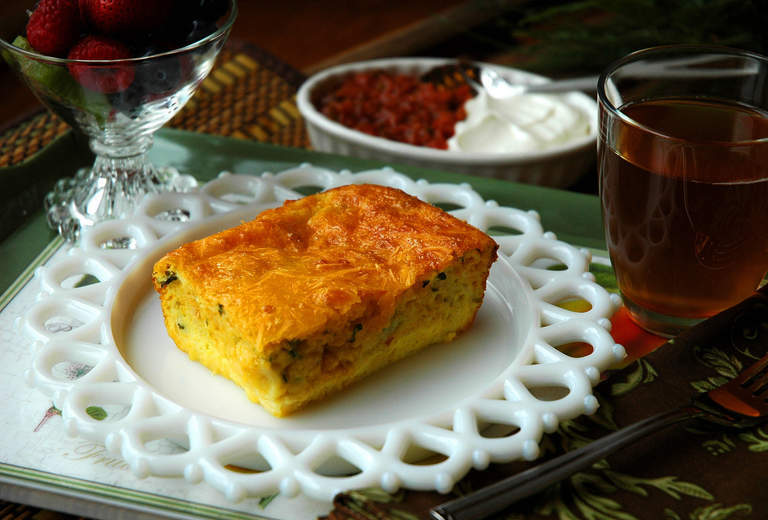 Take a look at what we offer at our Bed and Breakfast, as well as ameneties included with every stay. 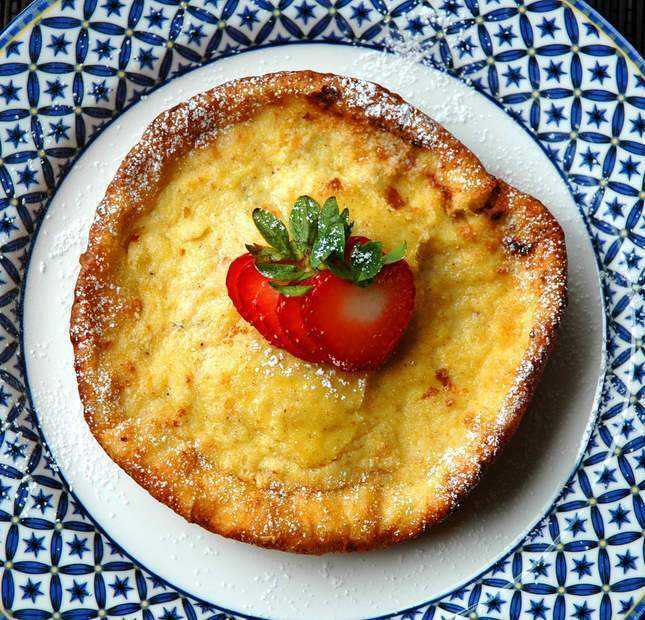 Simply a feast for the eyes as well as the palate, breakfast is a gourmet two-course affair, beautifully prepared and presented. Start with a fruit salad marinated overnight with citrus and vanilla and one of our freshly baked made-from-scratch goodies, like our infamous scone or buttermilk biscuit. Made with fresh ingredients and local produce — including eggs laid this morning by our free-range, organic hens —your main course is baked to perfection. I stayed at the Strawberry Creek Inn recently and found the atmosphere comforting, the hosts gracious and eager to please, the rooms elegant and cozy, the breakfast delicious and the surroundings magical. Truly, a wonderful time. 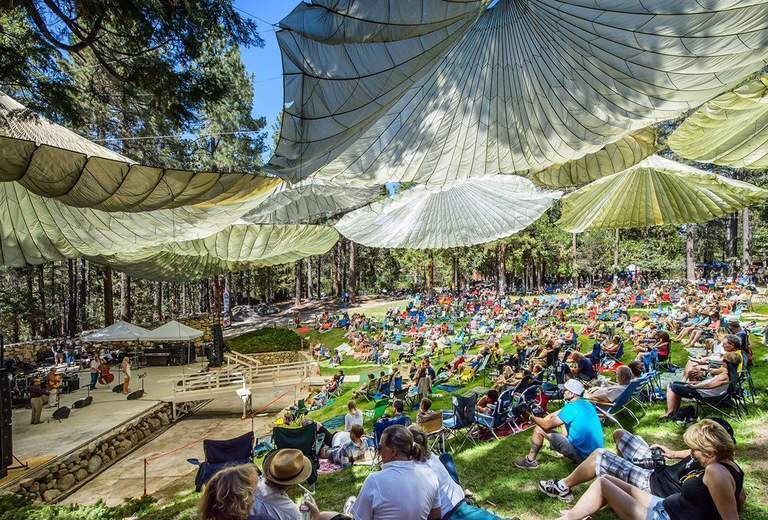 Named one of the 18 Great Towns of Southern California and one of 10 Small Cities to Visit in 2015 That Should Absolutely Be on Your Travel Bucket List, Idyllwild offers a unique combination of rural mountain atmosphere, small town charm, and engaging activities. 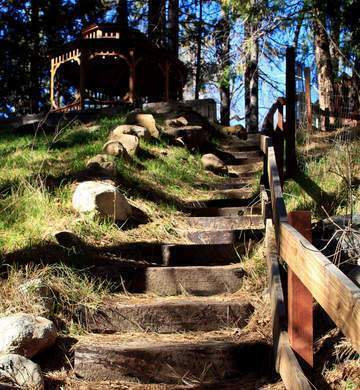 Whether you like to be on the go or take it slow, Idyllwild has an activity for you. No matter the time of year or day of the week, Idyllwild always has something to offer, yet in a laid back relaxed tone. Click on one of the links below for more information on activities and things to do. Get back to nature and discover the amazing vistas, crystal clear streams and waterfalls, and spectacular pine forests of the Idyllwild area and the San Jacinto mountains. Over 275 miles of hiking trails criss-cross the mountains and remote back roads. Hikes range from short walks to challenging treks. The San Bernardino National Forest's diverse habitat and climate support more than 2,000 native plants, 75 mammals, 55 reptiles, 13 amphibians, and almost 300 birds. 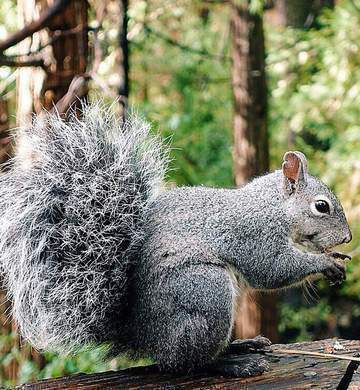 Deer, squirrels, rabbits, quail, and toads are frequent callers, and an occasional coyote sighting is not uncommon. 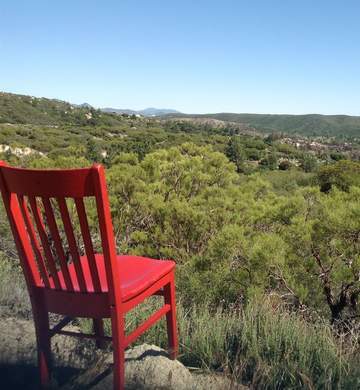 The Red Chair Travels: Idyllwild! The Red Chair is a symbol, a movement, a phenomenon, a happening. Not just a simple wooden chair, this bright red vintage objetis moving from place to beautiful place, exploring the best of America over the upcoming months. Idyllwild offers a unique combination of rural mountain atmosphere, small town charm, and engaging activities. For either active types or those looking to take a slower pace, Idyllwild has some great To-Do's for just about everyone. 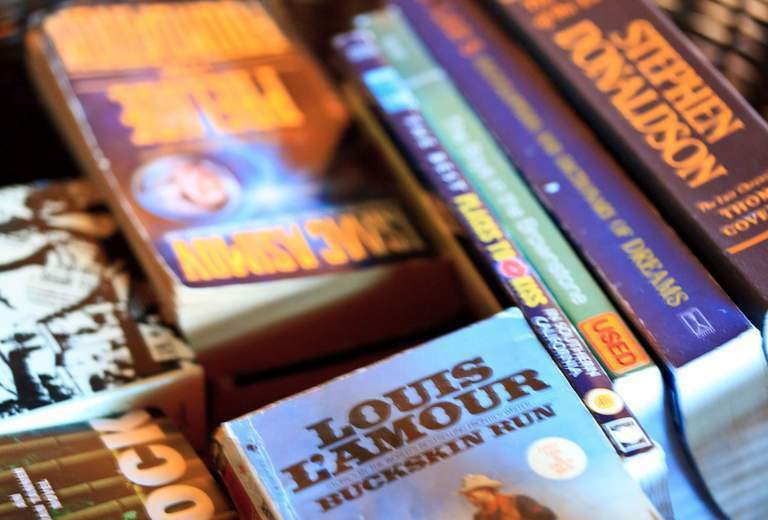 How about reading under the trees? Snuggle in front of a roaring fire in winter. Come visit and rediscover life's quiet joys! Make our Recipes at Home! Memorable Mornings is filled with recipes and tips for the almost lost art of entertaining for breakfast or brunch. That's what we do every morning, so it only seemed fitting that a cookbook from us would contain what we have learned over the years.